We bring forth pure and natural Lemongrass Oil for the clients. Lemongrass oil is extracted from the fresh or partly dried leaves by steam distillation. Lemongrass oil has a lemony, sweet smell and is dark yellow to amber and reddish in color, with a watery viscosity. 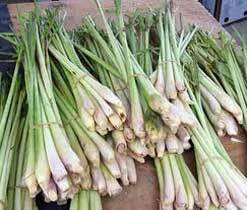 Lemongrass Oil is useful with respiratory infections such as sore throats, laryngitis and fever and helps prevent spreading of infectious diseases. Lemongrass Oil is helpful with colitis, indigestion and gastro-enteritis.